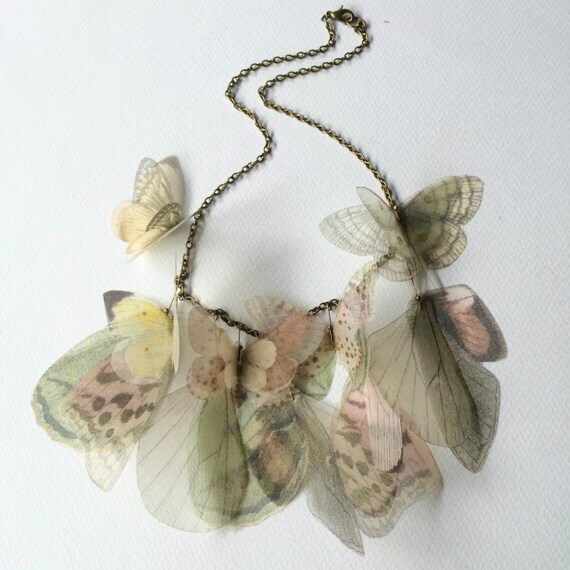 Completely handmade butterfly necklace, with cotton and silk organza butterflies. 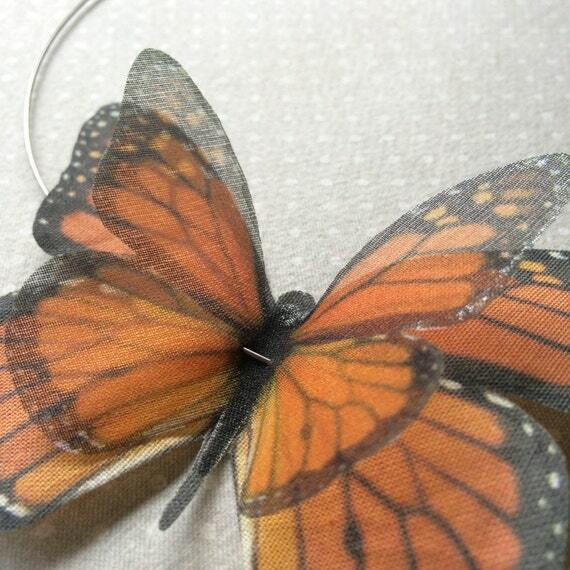 There are 2 butterflies on this necklace, and they measure about 10 x 7 cm. 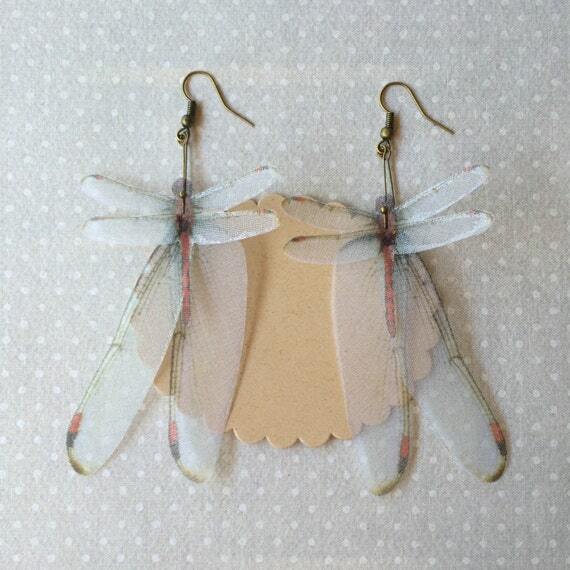 There are 2 dragonflies and 4 wings on these earrings and they measure about 8 x 5 cm. 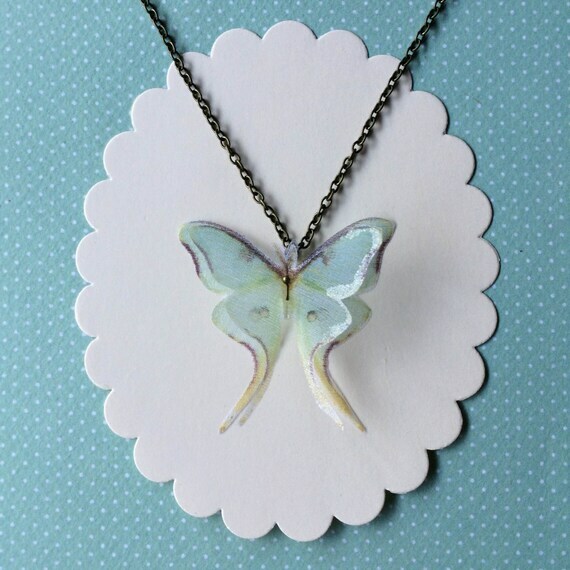 Lovely handmade necklace, with a solitary silk organza Luna moth. 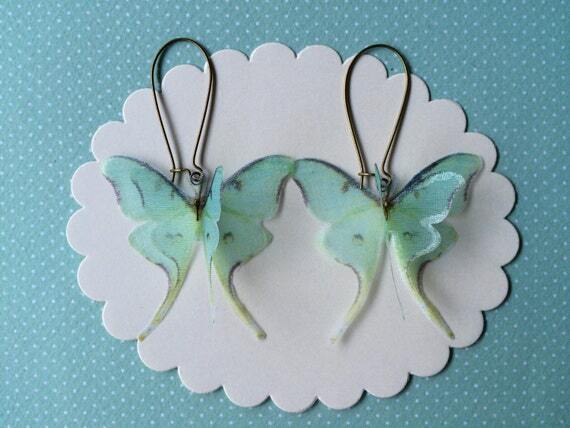 Luna moth measure 5 cm. wingspan. Antique bronze chain is long about 45 cm. Lobster clasp.